We have written about the failures of the Tory Government to provide sufficient school funding, class sizes increasing and pressures being put on school budgets. 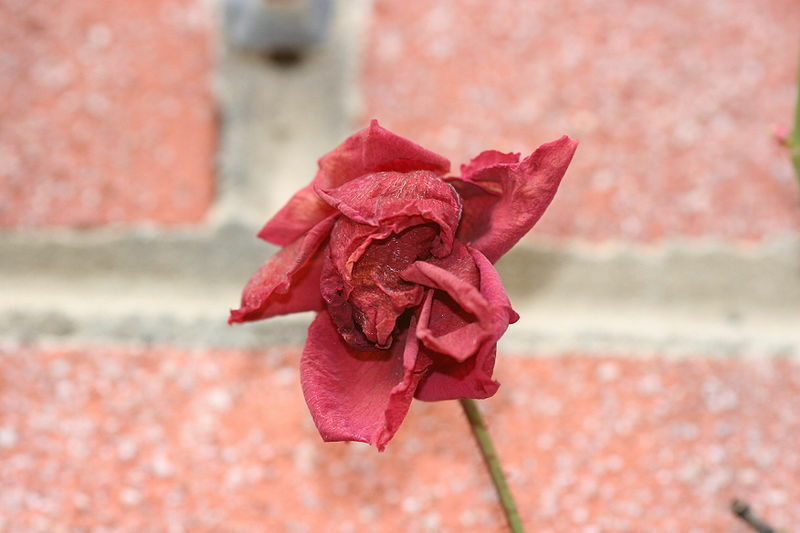 We have written about the failures of the Labour Council to provide sufficient school funding, and their removal of funding from schools that they had previously promised. Sadly like many things, it's yet another case of Labour or Tory, same old story. Southampton Independents try to be balanced, including in our criticism. 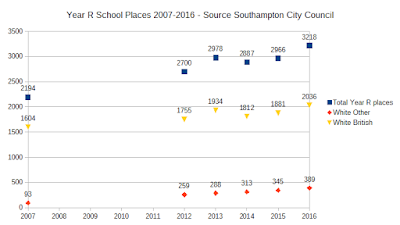 We owe it to Southampton's parents and pupils to get to the bottom of the reasons for problems in our schools. That's because Southampton's pupils deserve the best education possible. 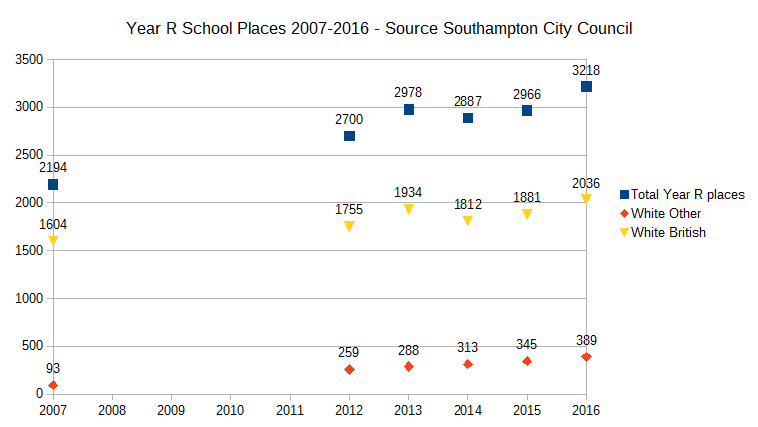 Below is a graph of the number of Year R (Reception) places in Southampton from 2007 to 2016. 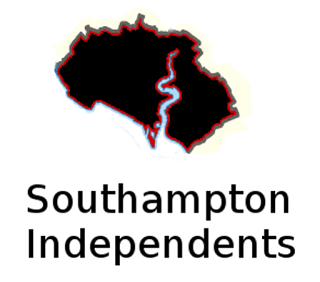 The source of the data is Southampton City Council. It shows that the number of places has increased by 46% during a decade. How can school funding ever keep pace with this massive increase? The Tories claim that they are putting in more money than ever. But it still isn't enough, because the number of pupils has increased so much. Is it due to mass immigration? Is it due to an increase in birth rates in our country? Is it solely due to Eastern European immigration since 2004? Labour failed to predict the numbers of migrants, failed to stem mass immigration, and then the Tories and Lib Dems also failed to deal with it. It's been going on for 13 years. You can see in the graph that the number of "White British" pupils has increased, as well as those who are of "White Other" ethnicity. If these figures from the Council are correct, it appears that the birth rate has increased overall and not just for Eastern European migrants. But the data could be inaccurate. If it is accurate, you can see that the number of "White Other" pupils has increased by a massive 318%, whereas the number of "White British" pupils has increased by one-tenth of that, 27%. However, because the "White British" pupils are already a much larger group, there has still been a substantial increase of 432 pupils, whereas the increase of "White Other" has been fewer pupils, 296. In any case, will Brexit mean that all of these children will leave the UK? It is unlikely. And people who are committed to our country should be able to stay. A solution needs to be found. It is imperative that the constant and massive flow of new people into our country, so-called net migration, needs to be controlled and reduced. Our schools can't cope. "Immigration needs to be controlled if Southampton is going to get a grip on class sizes and the funding crisis. It isn't an opinion. It is a simple fact. All of this time, Alan Whitehead has been the Labour MP for Southampton Test. What has he done about it? Very little and if he has done anything, the schools are still struggling. People tell us that it is time for Alan Whitehead to go. He has had plenty of opportunities to fix Southampton's schools. But he has flunked the examination over 20 years. Alan Whitehead even voted against Brexit. How is that going to fix our schools? The Tory candidate Paul Holmes says he was Cabinet Member for schools, back at the beginning of this decade. Did he fix the crisis? No. Where has he been since then? In London. Please vote for me to replace Alan Whitehead and be your Southampton Independents MP. I will get to the bottom of the schools problems and fight effectively to sort them out." 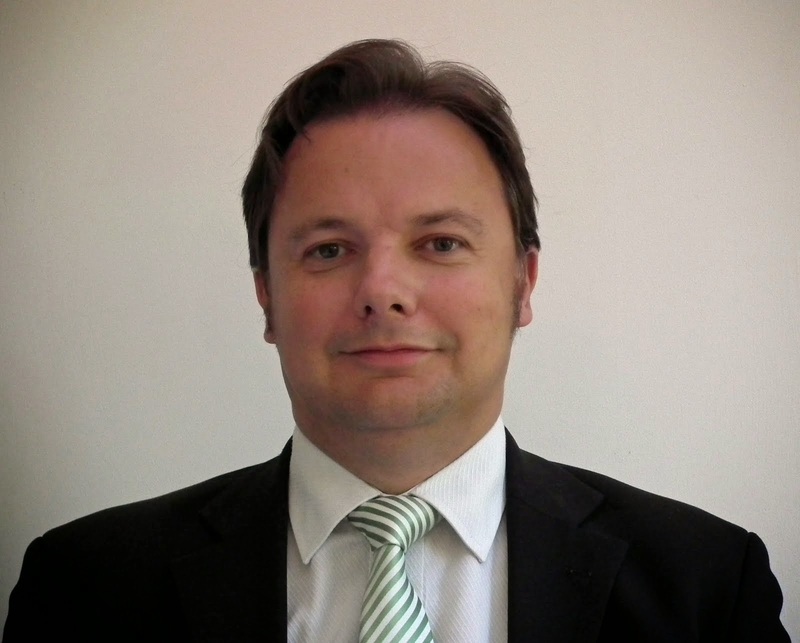 We ask you to please Vote Andrew Pope Southampton Independents. He will listen to you. He will work for you. He will stand up for you on schools.